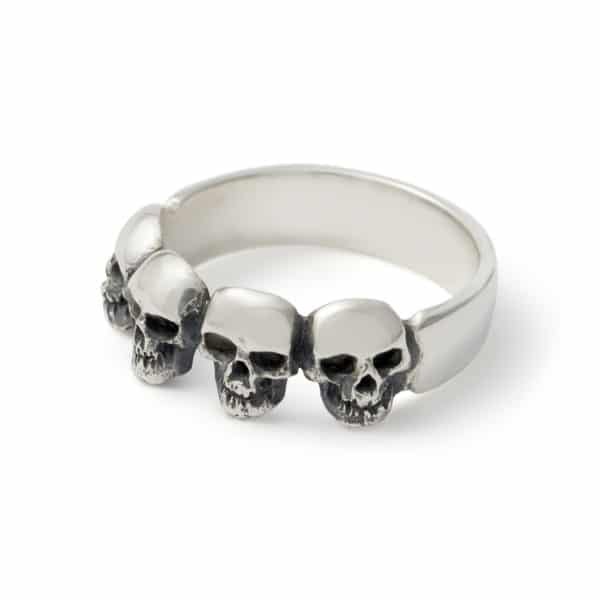 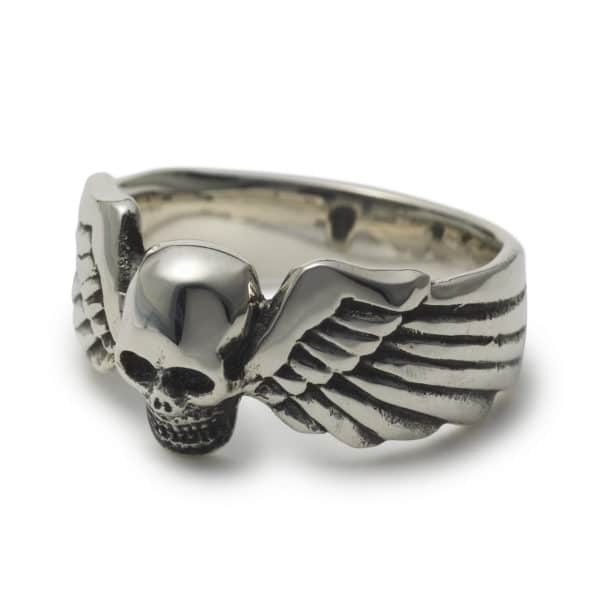 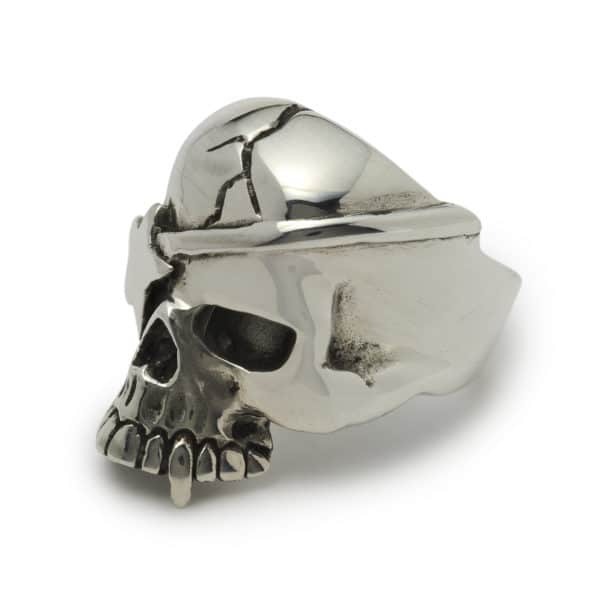 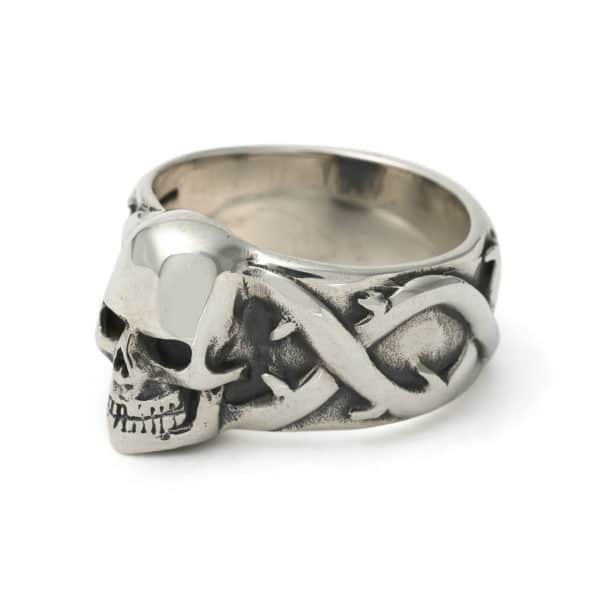 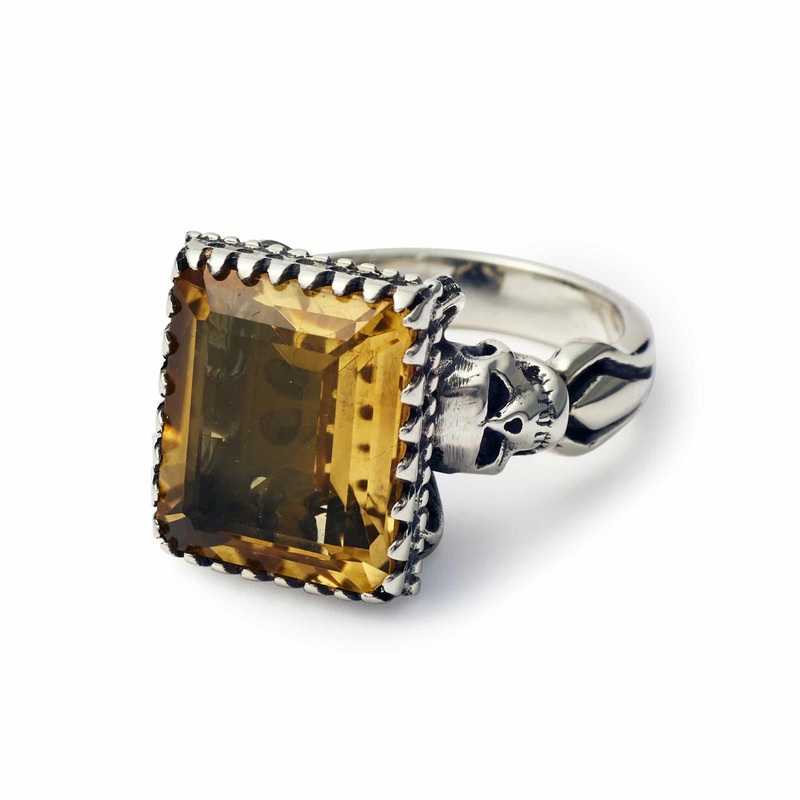 Our Square Gem Ring with skulls and an ornate setting clutching your choice of faceted stone. *Ring photographed has been set with Citrine (Faceted). 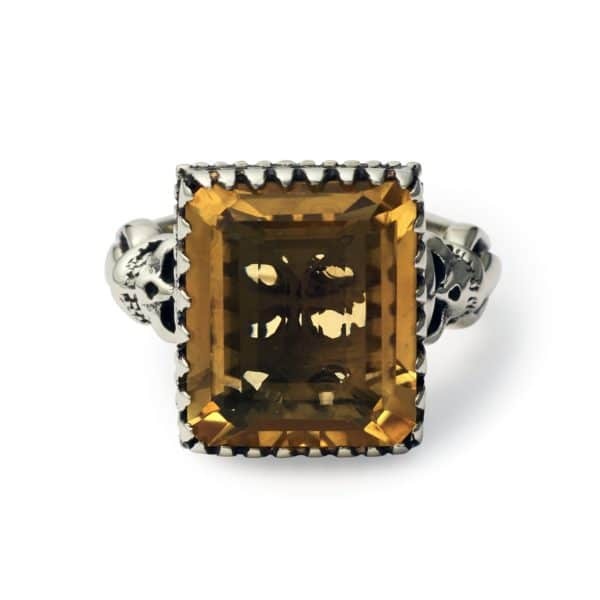 To see the other stones available you must select from the dropdown menu; this will reflect in the main image to show you what this stone looks like.